Smoking and Sudden Cardiac Death: The Time to Quit is NOW! Tobacco was once the cash crop of the south. I grew up in North Carolina in the 1970s and early 1980s where summer jobs on tobacco farms and “priming tobacco” were a rite of passage for local young people. Smoking was readily accepted in public places and even on airplanes. In movies and on TV, smoking was depicted as sophisticated and as a “cool” thing to do. Since that time, much has changed.Smoking has been implicated in the development of several life threatening diseases such as lung cancer, stroke and cardiovascular disease (heart attacks). Governments, both local, state, and federal have made huge strides in the last 10 years to prevent smoking in public places. Data has emerged suggesting that secondhand smokemay be linked to cancer and may exacerbate asthma in susceptible patients. Secondhand smoke contains over 7,000 chemicals, including hundreds of known toxins and 70 that are known to cause cancer. Data has shown that non smokers who are exposed to secondhand smoke increase their risk for heart disease by 25-30%. According several meta analyses published over the last several years, lifelong nonsmokers who live with smokers have a 30% increase in risk for developing lung cancer as compared to those who are not exposed. Smoking has now been banned in public places and restaurants in many cities across the nation (even in North Carolina where tobacco once was the staple of the economy).This week in the Archives of Internal Medicine, researchers published an investigation that examined how laws banning smoking in the workplace in Olmsted County, Minnesota affected outcome. Many previous studies have already demonstrated that smoking bans reduce the incidence of lung cancer and cardiovascular events in the affected populations. However, no study to date has looked at risk reduction for sudden cardiac death. In 2002 in Minnesota, smoking was banned in all restaurants and in 2007 smoking was outlawed in the workplace. In this particular investigation, the rates of sudden cardiac death over 18 months after the workplace smoking ban were evaluated. In the study population, the heart attacks rate was decreased by 33% and the rate of sudden cardiac death was significantly reduced by 17%. Interestingly, when smoking was banned in the workplace, the overall numbers of active smokers declined as well. This important study has received national attention and was covered by both NPR and the New York Times on Monday afternoon. According to the CDC, smoking is the number one preventable cause of death in the US today and accounts for 443,000 deaths annually. In this era of increasing medically related costs, smoking related illness accounts for healthcare expenditures of nearly 96 billion dollars annually. As citizens, physicians, patients and potential patients, we all have a responsibility to help contain healthcare costs. There is no doubt that smoking is a major contributor to illness and is the number one preventable risk factor in the US today. If we are able to continue to reduce smoking rates through education, regulation and awareness we will be able to significantly impact public health in the US today. Investigations such as the Archives study published this week should serve as a wake up call to all of us. Smoking kills-of that there is no doubt. As physicians, we must continue to spend time counselling patients on smoking cessation and offer support and strategies for quitting. We must engage our patients and help to motivate them to quit. Public smoking bans and excessive taxation on tobacco products are certainly a big deterrent, but much more needs to be done. Once again, this goes back to communication between doctor and patient. Smoking cessation is not an easy task for patents or providers but it is essential. Partnership between doctor and patient is the first step. 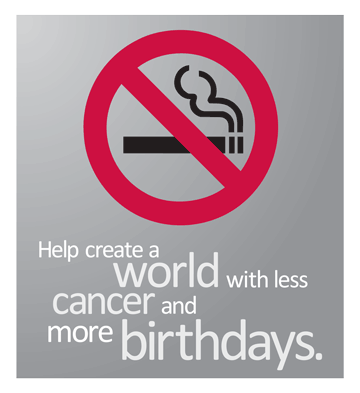 Next month on November 15th, we celebrate the Great American Smokeout. The time to quit is NOW. Use the day to celebrate with your patients. Advertise the event in your office. Both doctors and patients across the country need to initiate conversations about smoking cessation NOW. Help your patients decide and commit. Mark November 15th on the calendar in RED and help them QUIT today! Industry Funded Medical Research and The Integrity of the Scientific Method: Have We Lost Our Way? Medicine relies on novel research to evolve and produce new and better therapies for treating patients. Scientists who ask important questions and then design clinical trials or bench research projects to answer these questions are the most important aspect of the advancement of scientific knowledge. Were it not for visionaries such as Alexander Fleming (penicillin), Watson and Crick (structure of DNA), and many others, many current life saving therapies would be unavailable today. These early discoveries most likely did produce fame but did not always produce large personal financial rewards. In the US today, research and development is costly but may lead to big leaps forward in the way in which we treat patients. When industry is able to produce a new product with superior efficacy, minimal side effects, and better outcomes it can mean billions of dollars in profits. Today, big industry and medical researchers are intimately linked. Industry plays a very large role in funding medical research. Certainly, physician scientists are a key part of the research process. However, no matter how noble the intentions of industry may be, the bottom line is the company must answer to shareholders and ultimately produce a profit. The mix of science and profit generation can create temptation and moral dilemmas. Guidelines and codes of conduct must be in place and strictly enforced, otherwise more sloppy science will produce products that may not perform as billed. Certainly, Medtronic is not alone in the production of questionable study results. Many of us remember the controversy surrounding cancer researcher Dr Anil Potti formerly of Duke University Medical Center. Dr Potti, who is now no longer practicing medicine, falsified results and published hundreds of papers that were considered to be groundbreaking science in the genomics and oncology literature. Numerous Potti authored articles have since been retracted from the medical literature and the Duke University School of Medicine as well as many other prestigious institutions have revamped their medical research oversight processes and procedures. The Institute of Medicine has made recommendations for oversight in order to ensure that there are no more incidents of fraud like seen in the Potti case. This week in the Lancet, a new global effort to prevent fraud and promote research integrity has been announced. The Global network of Science Academies and the Interacademy Council has created a report that “defines the global standards of behavior that reflect the universal values of research”. These are important steps to ensuring the research will continue to produce new and promising results that are accurately reported–even if the results do not support the use of a new product or technology. Research and development is critical to the advancement of medical science. Unfortunately, situations like those currently being uncovered at Medtronic and the Dr Potti story continue to occur. The poor choices and unethical behavior by a few have now called into question both the financial and scientific relationships between investigators and industry. Federal funding for research from the NIH and other agencies has become severely limited due to the current economic environment in our country. Relationships between the private sector and scientists at prestigious academic institutions are necessary now more than ever in order to fund important medical research and provide cures and improved outcomes for once incurable diseases. However, we must strive to protect the integrity of the work that is done. As a medical and scientific community we must begin to regulate medical research and ensure its scientific validity and reproducibility. Medtronic and others who have committed similar missteps should be ashamed for putting profit ahead of patients. Medical research is a noble and often time consuming endeavor. Maybe industry executives should spend a day or to in my daughter’s sixth grade science class in order to be reminded of the purity and sanctity of the scientific method. Learning how to ask important, relevant questions and reporting results accurately (not altering data to meet your own predetermined outcome) is the key to producing new life changing discoveries for our patients. Patients depend on innovation. Innovation in medicine is the key to finding future cures. Dr Campbell’s blog about inspirational patients appropriately enough inspired me to speak of my patients. As I have previously stated my patients are Heroes. As Veteran’s Day approaches I would like to expand on that a bit more. A vanishing proportion of the general public has served or has a direct family connection to someone who served in the military. As the NY Times reported almost a year ago, in the past decade, at any given time less than 1% of the US population was on active military duty compared to 9% in World War II. Only a third of Americans aged 18 to 29 years have an immediate family member who served in the military. 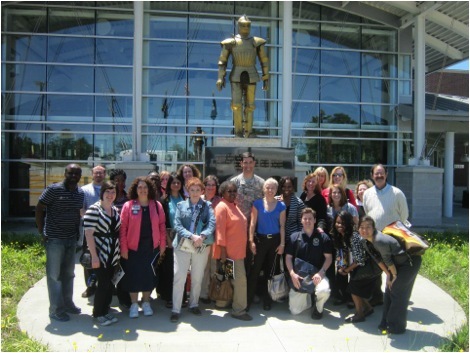 To help us better understand and serve those who have served, the Veterans Health Administration (VHA) under the Department of Veterans Affairs (VA) has sponsored an award winning program of Military Cultural Awareness Training for its VA employees. The program has several elements. There is a web-based module that includes background information on the military branches and individual stories of Veterans. It was easily my favorite module of all that I have taken (and trust me I complete over a dozen each fiscal year). The program also included a field trip to a military base. In my case, it was Fort Bragg in Fayetteville, NC. We had a wonderful and informative time trying out the Chinook Flight Simulator, talking to a member of the Golden Knights (parachute team) and visiting the base. Most surprising to us was that all the servicemen and women would thank us for taking care of Veterans when we all wanted to thank them for their sacrifice and service. In addition to the inspiration my patients give me in clinic and when I attend on the wards, this population is a wonderful partner in research. VHA prides itself on funding and supporting research that is then applied in a timely fashion to improve our health care delivery to Veterans and the health outcomes of Veterans. Of course this would not be possible If Veterans did not volunteer to participate in research. It should not come as a surprise, that this altruistic group of Heroes is very supportive of research participation as well. In my current study up to 80% of Veterans approached are interested in participating. So thank you for the inspiration as a physician and a researcher and for giving me the opportunity to serve those who have served. This entry is a guest blog by Deborah Fisher, MD, MHS, The extra letters after the MD indicate that she spent time getting yet another degree (in clinical research). She is a gastroenterologist and outcomes researcher at the Durham Veterans Affairs Medical Center and an Associate Professor of Medicine at Duke University. She is married to the President and CEO of KROC Consulting, LLC and carries the empty title of Vice President. 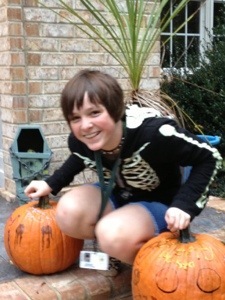 On the other hand, she is the my wife and the benevolent dictator of the Campbell household. The blog represents her views and not those of the Federal Government or Duke University. Recently, I blogged about educational philosophy and how we must strive to teach today’s students to “think great thoughts”. In my blog I mentioned that one of the keys to producing tomorrow’s leaders is to teach students to think in “real world” terms and apply their knowledge to everyday situations through both the interaction with others and the incorporation of technology to solve problems. These types of “thinking traits” are essential in the practice of medicine. As physicians, we must be able to work with colleagues, maintain effective interpersonal relationships with our patients and incorporate cutting edge technology in order to solve complex problems and maximize outcomes. Oftentimes, a great deal of finesse is required to pull both technical and interpersonal excellence together all at once. Medicine today requires a great deal of finesse. Physicians are required to interact not only with patients, but with insurers, government regulators, hospital administrators and community leaders. Webster’s dictionary defines finesse as: “skill in handling a difficult or highly sensitive situation; adroit and artful management.” Finesse is not something that can be taught, it is learned from experience. I believe the arts –both performance and practice–is all about finesse. 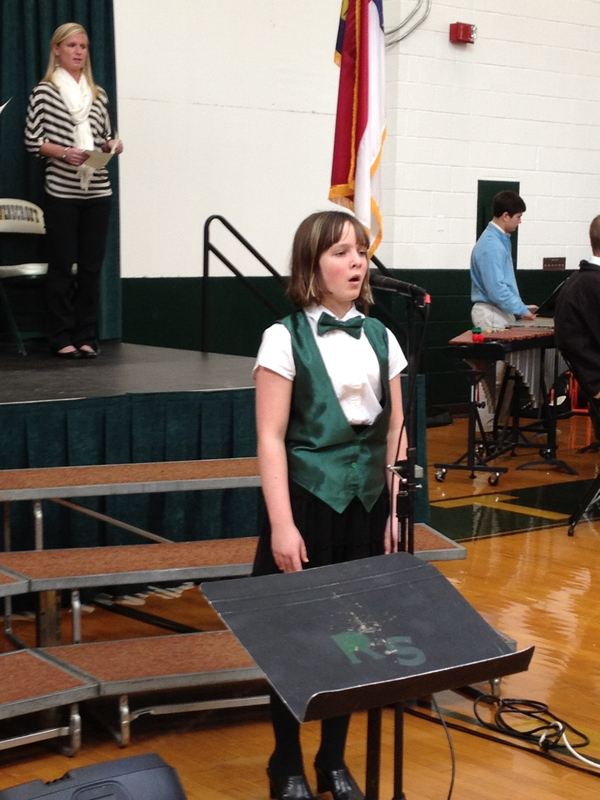 This week I had the privilege of attending my daughter’s Middle School Ensembles concert at Ravenscroft School. As I mentioned in a blog a few weeks ago, we are fortunate to be a part of the Ravenscroft community where academic rigor and fine arts opportunities are synergistic The concert included performances by the band, choral groups (both large and small) and strings. The performers were well prepared and the instructors were engaged, dedicated and obviously excited for their students. You could see that many of the students were moved by the emotion of the particular piece they were playing or singing. As an audience member, it was clear to me that the young performers were both emotionally and academically invested in the pieces they were presenting. The concert was incredibly enjoyable. As I left the theatre, I was struck by how fortunate these children are to have Fine Arts education incorporated into their daily school curriculum. Not only are students taught traditional academic subjects but they are able to experience art and learn how to “feel” and to be moved by an artistic performance. A recent publication by the National Endowment for the Arts discussed how an active Fine Arts education program in schools can affect performance. In the report the NEA used three different longitudinal studies to track the performance of children who were exposed to art education while in school. The findings indicated that students who have opportunities to engage in the arts perform better academically, are more socially conscious and civically aware and have better college and workforce opportunities. I believe that this effect can be best explained by allowing students to create and to engage in activities that both require hard work and preparation but also produce tangible results (such as a well received concert performance). Certainly, children can learn something about mathematics, history and science through music and drama. Even more importantly, students learn how to remain socially connected and (as in the production of a choral piece or a play) dependent on others for success. Harvard University has embarked on an educational project called Artful Thinking. In this project teachers are encouraged to incorporate visual arts and music into teaching in order to enhance the way in which students learn. Project Artful Thinking is designed to help teachers and students connect art and academics and produce a more collaborative and global way of approaching problem solving. In short, the incorporation of the arts into learning can help students learn finesse. Medicine today requires a great deal of finesse. Educational paradigms are rapidly changing in order to meet the needs of today’s students. Arts education is an essential part of preparing our students to think in a way that will be met with success. An appreciation of the arts helps students relate to others both locally and globally. Certainly, in medicine, it is essential for physicians to relate to other human beings. The ability to connect with patients is critical in achieving better outcomes. An appreciation of the arts bridges cultural, generational and economic gaps–it provides common ground in the human experience. By blending art, drama, music and other programs into curricula already filled with rigorous math, science, english and history we are able to teach our students to think in ways that will ultimately make them better citizens and, if they choose, well prepared for the medical schools of the future. I commend the faculty and staff of Ravenscroft School in Raleigh, NC for leading the way in arts education and teaching our kids finesse! One of the most rewarding aspects of my job is the relationships that I am able to develop with my patients. I very much admire my patients who are engaged in their healthcare. Many patients face enormous challenges as they battle chronic disease every day. For many, there is no “day off” from disease. Cardiac patients must manage complex dosing regimens and some must adapt to physical limitations due to symptoms such as shortness of breath and chest pain. Others battle with tobacco addiction and often endure pain and sorrow. How patients and physicians respond to the everyday ups and downs of disease can sometimes define the course of the illness–rather than have the illness define them. This weekend, I was listening to NPR and heard a story about a particularly heroic patient. The patient, Spencer West, is not a cardiac patient. Mr West was born with a congenital birth defect where his spine and legs did not fuse properly during development. Shortly after birth, his parents were told that he would never walk and that he would be severely limited in what he could do. By age 5, he had amputations of both legs below the hip. Spencer, however, was up to the challenge. He never used prosthetics and became proficient at getting around on his hands and in a wheelchair. In high school he was a varsity cheerleader and went on to graduate college. Recently, he accomplished a feat many of us with four limbs will never even attempt. Travelling with a small group of friends, he climbed 19,000 feet above sea level to the summit of Mount Kilimanjaro in Africa. Although faced with overwhelming adversity from the beginning of his life, Spencer made a decision to live a life of “I Can” rather than “I Cannot”. 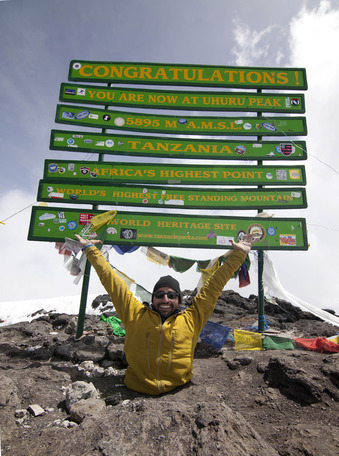 In climbing Mt Kilimanjaro, Mr West raised over 750,000 dollars to support sustainable water projects in Kenya. Even with his own challenges, he is always looking to make an impact on others. We, both doctor and patient, can learn a great deal from his example. Spencer West has maximized his situation and continues to live life to its fullest. Despite significant physical impairment, he continues to work to improve the lives of others. As physicians, we are faced with many challenges albeit none as great as those that Mr West faces. Government regulations, electronic medical records (EMR), falling revenues and extended work hours can lead to frustration and apathy if we let it. Instead, we can work to engage our patients. Inspire compliance and cooperation–set the example for your partners. 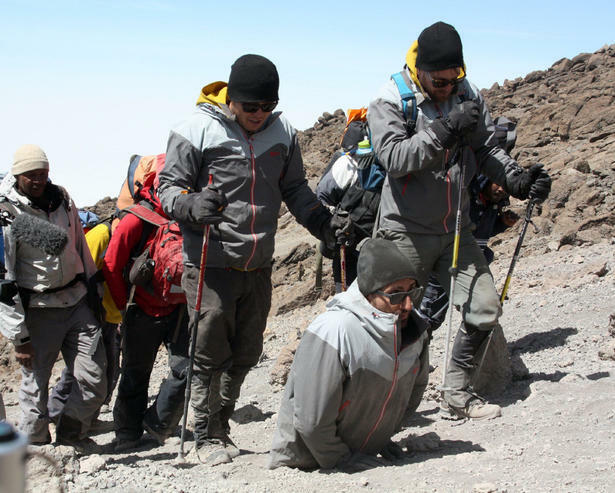 When you reach one of those “low moments” (as we all do sometimes) where you are on call and have more EMR notes to complete on the weekend, think of Mr West reaching the summit of Mt Kilimanjaro on his hands. We need to remember that we are advocates for our patients first and foremost. It is our job to guide them through the wilderness that is cardiovascular illness and our patients depend on us. We must find inspiration in our patients as well. Rejoice in their accomplishments no matter how small: a successful visit where blood pressure and lipids are at target, a follow up where there is a report of smoking cessation or much needed weight loss. Ten Keys to Finding Inspiration: (Adapted from painter Sofan Chan and sculptor Rochman Reese). 1. Find enjoyment–Remember the fun in practicing medicine. You may find it in talking with patients or colleagues. The key is to have fun while providing excellent care. 2. Find Love–actively put love into your work. If you love what you do, it will love you back. 3. Trust yourself–Gut instinct and intuition can go a long way towards finding inspiration. The “little voice” inside one’s head often says prophetic things. 4. Listen–Listen to the “little voice” that is providing the inspiration (see number 3 above). Don’t dismiss what is being suggested. 5. Believe–Remember Spencer’s “I can” attitude. Believe that every day you interact with a patient you can make a difference–engage at each and every encounter. 6. Discount naysayers–Don’t listen to those who say “you cannot”. If you believe that you cannot, you most certainly “will not”. Our patients deserve better. 7. Avoid negativity–surround yourself with a cast of positive people. Much more is accomplished. Look to your patients for a smile and or a positive attitude. 8. Acceptance–Accept that there are going to be those “low points” and not every single day is going to be filled with inspiration. Look to the future on those days. Remember the successes of the past and remember that you love what you do. 10. Surround yourself with things that inspire–This point seems relatively obvious. So, there is much we can learn from Spencer West. If we think carefully, we all have been inspired by someone or something during the course of our lives. In medicine, it is important to find inspiration in our patients. Patients trust us to help them deal with life changing diseases. It is our duty to give them our very best every single day. We must find inspiration in our work and engage our patients. Not unlike climbing Mt Kilimanjaro on one’s hands, working in our ever-changing medical landscape requires perseverance and daily inspiration. Remember the keys listed above. Climb higher every single day. Make a difference. Inspire others. Physicians are terrible patients. That fact is one of the few absolutes in medicine. I can remember developing an acute appendicitis as a medical student. I remember the fear, the uncertainty and the discomfort. I can remember wanting someone who was in charge to spend a little time in my room explaining things to me. I can remember the embarrassment I felt when a group of 6 student nurses paraded into my room with a senior staff nurse in order to learn how to put in a foley catheter. As physicians, we are used to being the person in control in the healthcare setting. When the doctor becomes the patient, all perceived control is surrendered. 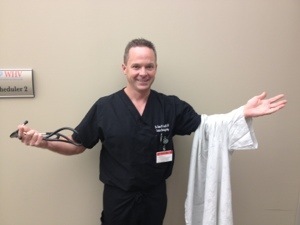 No longer do we wear the “magic white coat” and wave healing hands over patients. Our daily intake and output is recorded. We are shipped all over the hospital for tests in unflattering, often risque attire. Once the transition to patient is made, there is no going back. Nothing ever seems the same. One of the most well published experts in this area is Columbia University psychiatrist Dr Robert Kitzman. In a 2008 New York Times article, Dr Kitzman provides insight and discusses the implications of the transition from physician to patient. Dr Kitzman, after losing family in the September 11th terrorist attacks began to suffer from depression and eventually became a patient himself. Once doctors become patients, many begin to recognize major flaws in the healthcare system that had previously gone unnoticed. What may seem to us like small inconveniences (long wait times, or uncomfortable office temperatures, or outdated magazines in the waiting room) become a really big deal when YOU are the patient. The process of transition from healthcare provider to patient can be quite eye opening; in fact, I believe that time spent as a patient should be part of medical education. Even though most physicians do their very best to show compassion, provide support and empathy, it is often not enough. Sometimes we must look through the eyes of those for which we care in order to better serve their needs. Dr Eric Manheimer who is medical director at Bellevue Hospital Center, understands this better than most. In a moving piece written in 2011, he describes his own experience becoming a cancer patient. Diagnosed with throat cancer, Dr Manheimer details his personal struggles with becoming a patient. Fear, loneliness, hopelessness, anger and loss are common. These feelings can become overwhelming to patients with chronic illness or cancers. Through his experience as a patient, Dr Manheimer has been able to inspire other physicians to become more compassionate and better understand the condition of “being a patient”. In a follow up New York Times article from July 2012 he describes how he is a much more effective doctor. Not only is he able to relate to his patients as a physician, but now he is also able to relate to them as a fellow patient. By identifying with patients and developing a better understanding of the daily struggles patients face, Dr Manheimer suggests that we can ALL be better physicians. There are many other stories like Drs Manheimer and Kitzman. Certainly, in the big scheme of things, my appendectomy was no big deal. However, the experience of becoming a patient can and should have lasting effects on healthcare providers. The very act of becoming a patient and facing an illness forces physicians to make personal choices in testing, treatments and risks. These decisions can change the course of one’s disease. Interestingly, an article in Archives of Internal Medicine from 2011, studied how these decisions differed when a doctor recommended a therapy for themselves versus another patient. In this particular study, physicians tended to choose treatments for themselves that involved higher risk for death. It is not easy to explain this difference but one can postulate that personal beliefs and values must play a greater role when choosing treatment options for one’s self as opposed to a patient. Patients deserve our very best. As physicians, we must remember that the people we care for are often lonely, frightened and may feel as if their world is spinning out of control. Becoming a patient can open our eyes to the challenges of the ‘patient condition”. We must strive to provide better, more compassionate care to our patients. By “wearing a gown” providers may be able to better empathize with patients and ultimately ease the pain of living with disease.